A tree, decorated with gift tags that indicate what items are needed for a particular individual in need or an entire family in need is placed on the side of the altar in church. is placed in the front of the church. 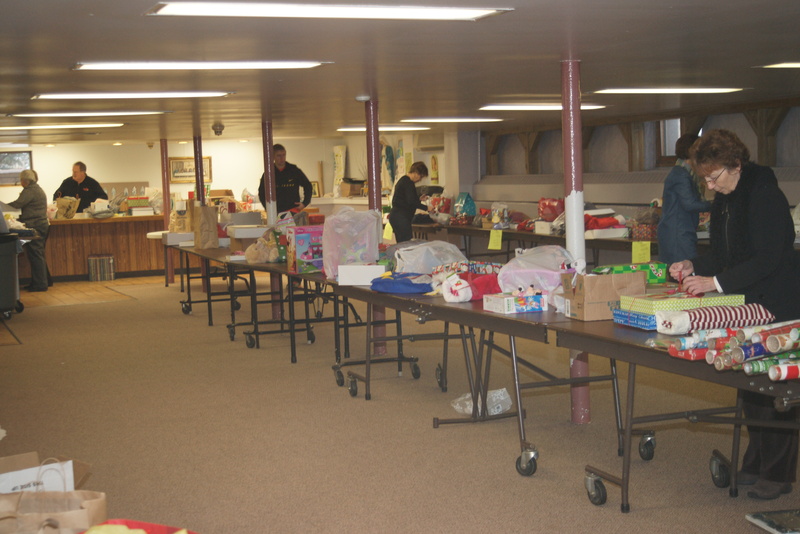 Parishioners can select tag(s) for items to purchase as gifts for those needy families - the week before Christmas the gifts and food boxes are distributed. This is a tremendous outpouring of sharing in our parish community. In conjunction with the Giving Tree, handmade scares are collected and placed in a basket on the side altar. When Giving Tree gifts are distributed, these beautiful scarves are included.